If the Democrats want to regain a filibuster-proof majority in the Senate they have to win seats in their home turf, and that includes the New Hampshire seat of retiring Senator and Republican Judd Gregg. Rasmussen carpet bombed this race, which fortunately only has three likely matchups. It’s looking good for the Republicans though. Two of the three candidates have solid leads. 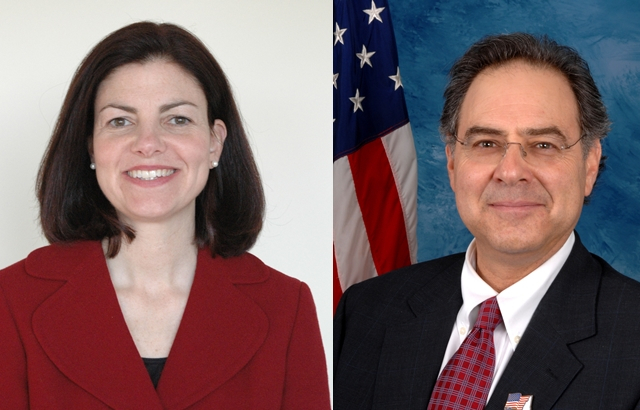 In the pictured matchup, Kelly Ayotte runs far ahead of lone Democrat Paul Hodes 50-35, with a margin of error of 4.5. That gives her a virtually certain 95% chance of being ahead at this point. Bill Binnie is doing nearly as well at 49-37 and takes a 90% lead probability. Ovide Lamontagne runs far off the other two Republicans, though he does lead 44-39 for a 71% lead probability. Conservatives are pushing for Lamontagne, and he calls himself the one “true conservative” in the race. His primary opponents are sure to use this poll against him, though. As for the primary itself, it does appear that Kelly Ayotte is the frontrunner, but the last poll I can find is by Daily Kos and Research 2000 in February that showed Ayotte comfortably ahead of Lamontagne 36-27, with Binnie at the Margin of Error of 4.